I remember that there was a time when I didn’t really like to let my kid go out alone, do the trick or treating stuff on Halloween. This is the reason why I wrote this article on how to celebrate Halloween without the trick or treating. A first alternative to celebrate Halloween without trick or treating activities, is that if you have a local community or leisure center, to get in touch with them and see as to whether they have a few Halloween activities planned. Indeed, such communities and center often organize Halloween parties and games for the families to enjoy. Another way to avoid outside trick or treating walks is to do this in your local shopping mall. Many shopping malls ask their tenants to get candies and goodies to shoppers, this is their way to get more customers on Halloween day while at the same time allows people to not have to go all out for begging for sweets. Many also plan costume contests and some parades to which the kids can take part and win some prizes. Personally I live in a village and I know for a fact that the local school organizes a Halloween party while the village plans a Halloween torch parade in the beginning of the evening – all attendees are locals and parents take part to the parade. Maybe your small town or village does plan such a parade or even a Halloween concert on the central place. A fantastic Halloween trick or treating alternative is to take the whole family and go visit a haunted house. That kind of event is generally sponsored by the locals; which provides you with a really friendly atmosphere. If you are interested in finding a haunted house to visit on Halloween day, you may run a search on Google – thousands of websites will provide you with needed information. Hm… perhaps you don’t want to go out and just want to stay at home (for whatever reason, the main one being that weather is cold on October 31st). So, once again, there is an option for you! Plan a Halloween potluck party and invite as many people as you can. Provide the place to host the party and ask your guests to contribute a dish or beverage so that you don’t spend too much money on the party. Plan it well in advance so that you make sure all guests will be able to attend your party. 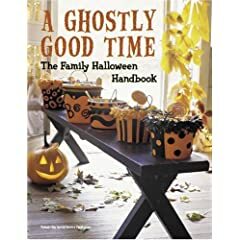 Obviously, you can spend Halloween high quality time with your family if you all gather together to prepare the decorations and snacks for Halloween day. 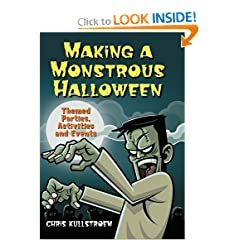 There is an entire section in this site that will give you Halloween homemade decorations to produce with the kids as well as another section with a bunch of Halloween ghoulish food recipes to prepare. What about Halloween clips, music and special effects? Well, there are websites you can find which provide you with anything related to Halloween clips, songs and soud effects. Most of them provide MP3 files so that you just have to download them and play on your MP3 player. For creepier effect, get some dry ice, this will produce a nice Halloween fog all around the house. In order to entertain your guests at your Halloween party, plan some Halloween games to play. Games should be available to both kids and adults but you can plan two separate game activities: one especially for the kids and another one for adults – to play when kids are in bed, for example. A great Halloween game to play with the kids is Apple Bobbing – fill a big recipient with water, add apples and ask your guests to get the apples with their mouth. Printable Halloween games are among the most popular Halloween activities, so make sure you download a bunch of them and start the fun! Because you invited adults and kids to the party, chances are that the kids will be tired before adults, so plan a few Halloween movies for them to watch in your family room when they’ll start getting tired. They will surely finally fall alseep and you won’t have to worry about where they are and what they are doing. Above all, kids love candy and sweets; therefore, you’re going to make sure to get as many sweets as possible so that they can trick or treat your guests without having to go all out. You can even prepare Halloween treat bags filled with the same number of candies and cookies so that the kids can bring them with home after the party. Tagged celebrate halloween, fun parties, halloween activities, halloween parties, trick or treat.